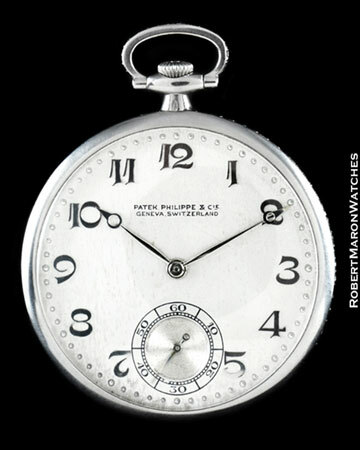 Additional Information Patek Philippe vintage platinum pocket watch with diamonds set into case edge. 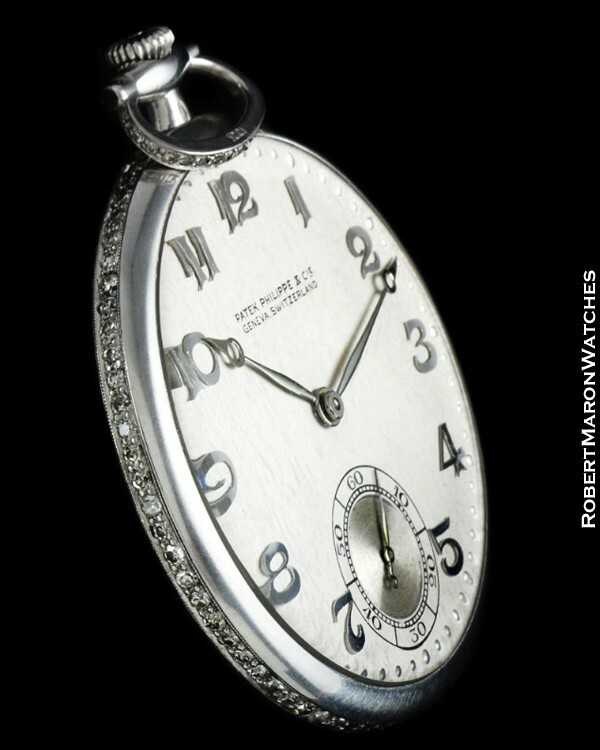 Here is a beautiful pocket watch from the mid-1920s with platinum case with a continuous row of diamonds set into the case edge. Case dimensions are 43.5mm diameter by 6.9mm thick. Original untouched silver dial with brush finish, applied Breguet style arabic numerals, embossed minutes chapter, subsidiary seconds dial with concentric guilloche. Original pomme style minutes and hours hand and seconds hand. Dial signed PATEK, PHILIPPE & Cie GENEVA, SWITZERLAND Movement is pristine and running, has 18 jewels and has 8 adjustments. Movement is signed PATEK, PHILIPPE & CO. GENEVA SWITZERLAND The Cowell & Hubbard Co. Cleveland Ohio.